I know, I know: you’ve all seen this by now. 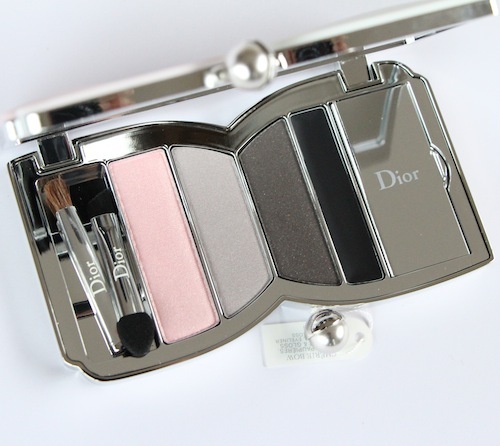 I’m sorry, but I got hold of the Dior Cherie Bow palette about six hours before I jetted off on holiday! I could have taken it away with me, I suppose, but I was too scared that I might lose it or damage it in transit and that would have been utterly devastating. Look at it! Have you ever seen anything so unashamedly pretty? The Cherie Bow palette makes no apology for being 100% girly and I love that: it’s candy-canes and ballerinas and hair in rollers and glittery dance shoes, all pushed into one splendid little compact. On the outside, the casing is pale pink and gorgeously feminine; on the inside, chic mirrors and heavy, expensive styling. 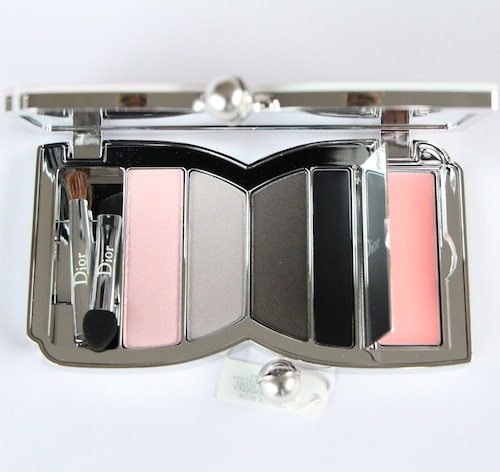 There’s the little Dior trapdoor over the lipgloss to keep it clean and tidy, a touch which I have always enjoyed in the limited edition palettes, and two mini applicators stowed away to the side. (Bane of my life, mini applicators – they drive me mad! I want to start a petition to ban them!) 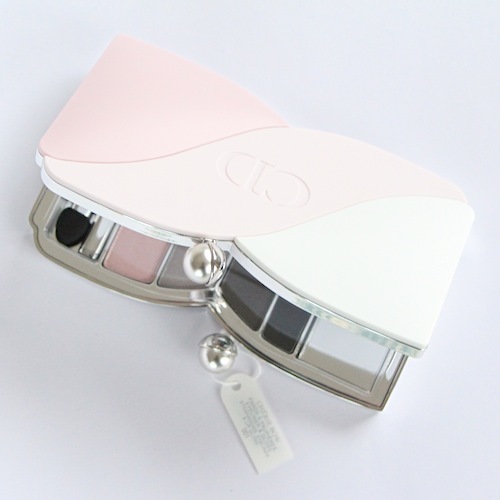 The main event is the shadow trio – this is the Rose Poudré version and so there are two greys and a pale pink – the other palette has two pinks and a pale, pale silvery shade. I prefer this version because I think that it’s a little more wearable, but both combinations are incredibly pretty. I must say that I like the inclusion of an eyeliner (next to the lipgloss). It offers some direction as to how these pretty shades are to be worn; pale pastels on eyes, lips and cheeks with a strong bit of definition along the lashline. Even if you hadn’t seen the Dior campaign image you’d be somewhat guided in the right direction by the bits and pieces provided in the palette. A wash of pale pink across the lids, perhaps a little smoking with the greys and then a perfect, quite heavy line across the top of the lashes. Gorgeous! I shall be trying this out and letting you know exactly how I get on. The Cherie Bow palette is £59 exclusive to Selfridges (Selfridges.com) and I have linked to the version above, Rose Poudré. Previous Post Orla Kiely Heattech Thermals for Uniqlo!